I tried it for the whole week after purchasing it, convincing myself I must be applying the mascara wrong because (a) my lashes look no different and (b) there is absolutely no sign of a curl whatsoever. So I continued to use it into another week, layering coats, wiggling the brush as much as possible, getting at the root of the lashes and absolutely nothing worked. Personally I feel like the only one who hasn't and won't rave on about this product but I am so glad I bought the sample size instead of just purchasing the full size because atleast I know it doesn't work for me. However just because it doesn't work for me doesn't mean it won't work for others, try and get your hands on the sample size one to try first! 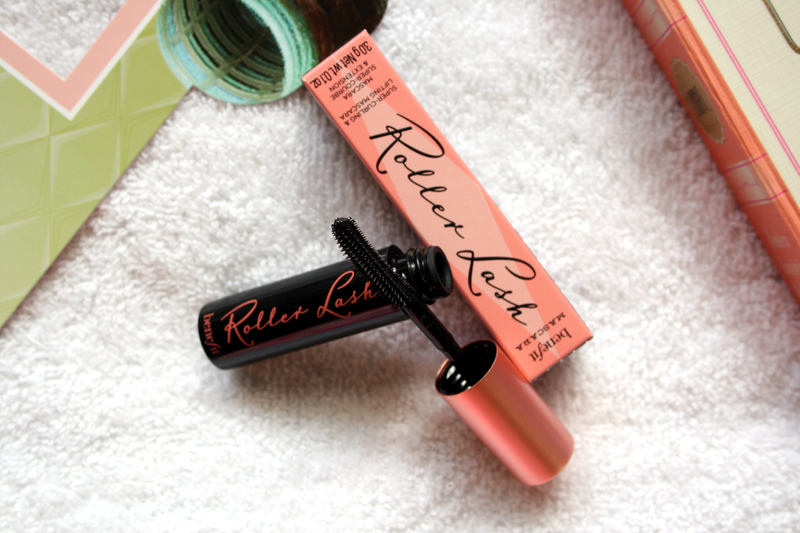 Roller Lash full size will set you back £19.50/€26.00 where as the little sample in Elle magazine is only €6.50. I adore Benefit products but sadly this one just was not for me! Have you tried this mascara, how do you feel about it? Aww its a shame you didn't love this mascara! Roller Lash does amazing things for my lashes! What a shame it doesn't work for you :( it's my new HG! I love it!